If you’ve been thinking about getting a new bag for your weekday workwear wardrobe – one that sits more naturally over your shoulder. 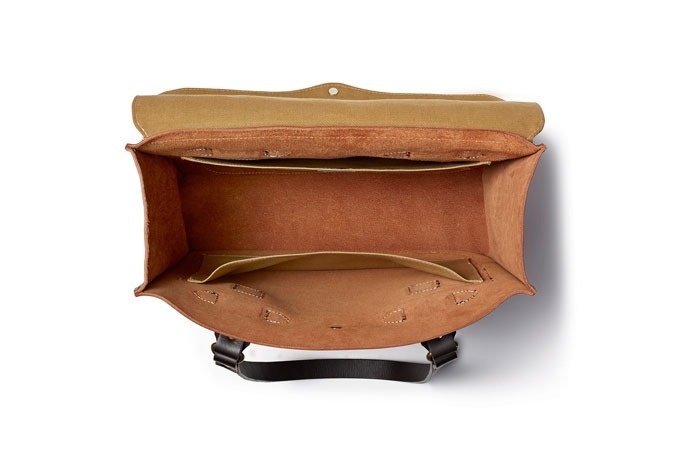 One bag design we really like is made by Filson. 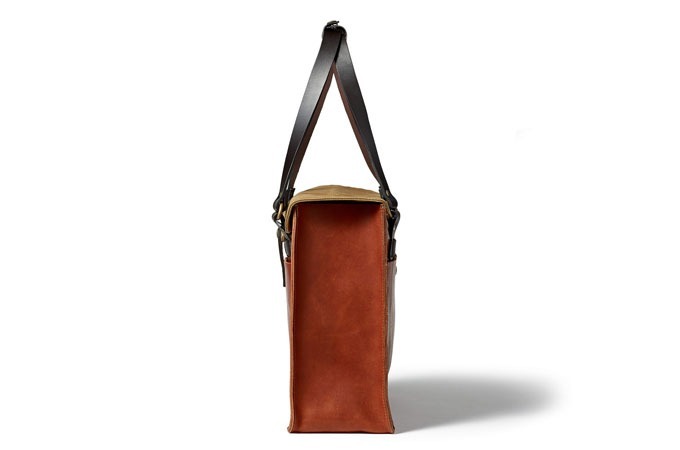 They have your back with the Filson Leather Tote Bag. 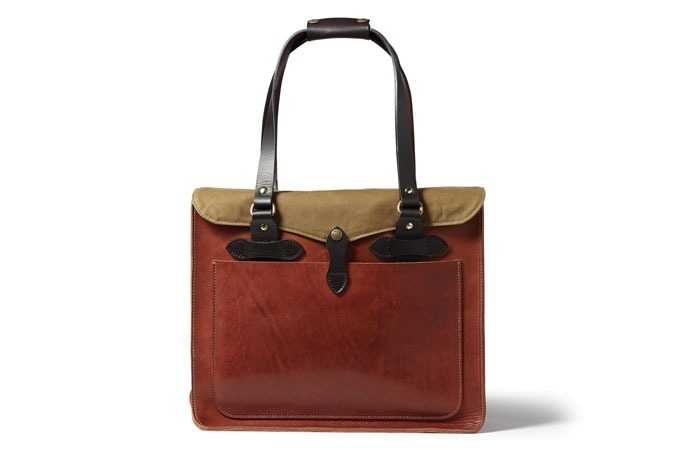 Made from Chicago-tanned Horween leather, this tote bag requires very little break-in time. This bag sports an open compartment with two open interior pockets, a Tin Cloth flap and snap closure. The two exterior open pockets can be snap closed. The genuine Bridle Leather handles with 2-snap handle grip.